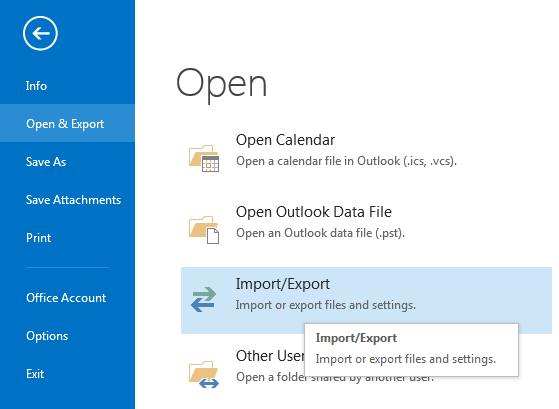 Using Microsoft Outlook import/export tool Office users can import their contacts from a vcf (vcard) file into Office Outlook easily. If you have a vcf formatted contacts export Microsoft Outlook enables users to import this file contents into contacts list following a few steps process. To import vcf vcard file contacts into Outlook contacts list, first launch Microsoft Outlook. 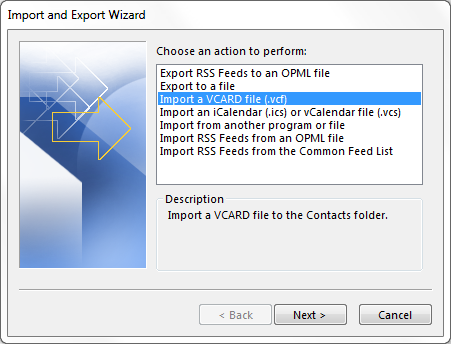 Click Next button to select the vcard file containing exported contacts from an other application. Click Open to import contacts to Outlook mail client tool.